Grab your two baby penguins as you embark into the wild to find resources and build a cozy igloo! 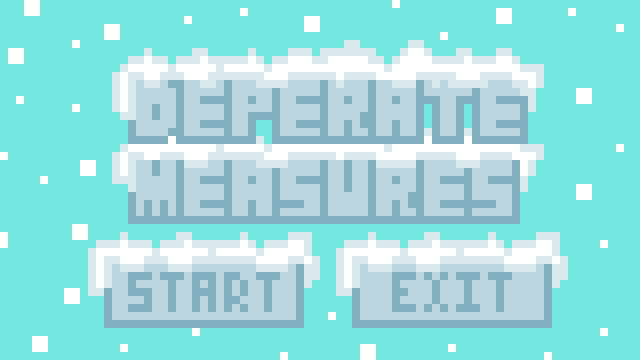 Desperate Times is a game about survival and doing anything to thrive. 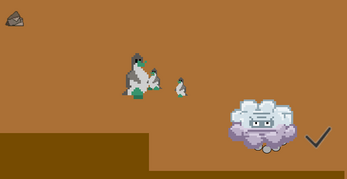 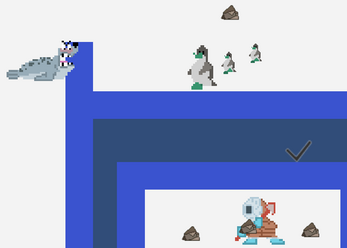 Control a mother penguin and utilize her two baby penguin's surprisingly sturdy forms to stun hostile enemies. 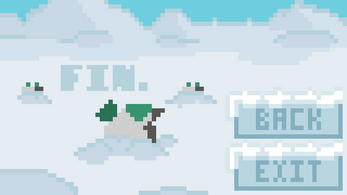 Travel around three different levels to collect snow, rocks, and fish to improve your house. This game was created for the 2019 Frosty Game Jam, hosted by the JDE, following the theme "Cozy Lodgings".